Prizes: 250 PIXEOS tokens for each winner. Three winners will be chosen by my Silly Daddy family and I. 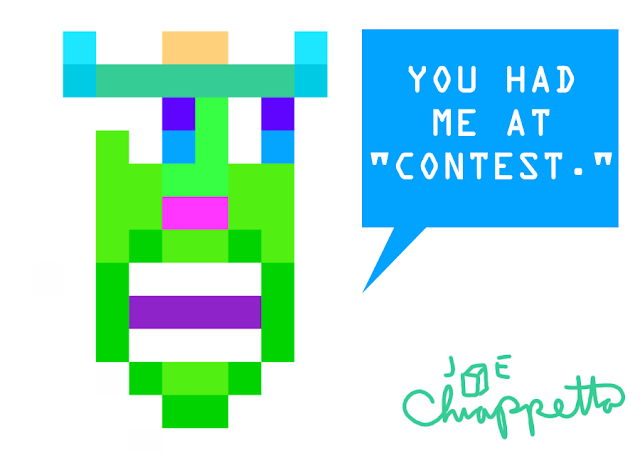 We will select winners based on our personal art tastes. Create a new drawing on pixEOS Paint using at least 20 pixels. Please make it family-friendly since me, my wife, and kids will be contest judges. Buy the pixels of that drawing, which locks that drawing into the EOS blockchain and the pixEOS Paint canvas. Share a screenshot close-up of that new drawing with me to my Twitter account or Steemit account. Write your EOS user name in that comment too. For questions about pixEOS Paint, read the FAQs here or join the pixEOS Telegram chat.